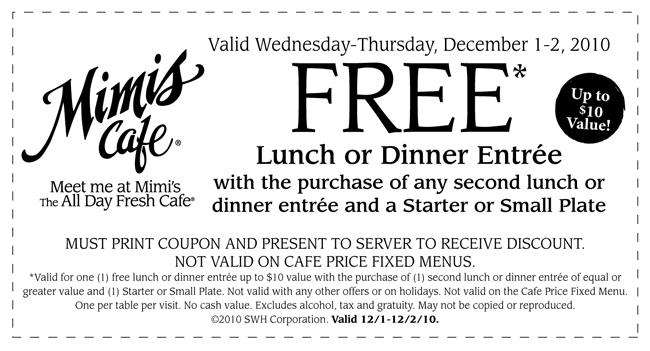 Free Dinner or Lunch on Wednesday and Thursday at Mimi’s Cafe. 12/1 to 12/2. 2010.